....and wake up beautifully! Become a beauty while you sleep! That's what everbody wants. Follow these tips and you roll out of bed with the most beautiful hair and a flawless skin. Every 24 hours almost 30,000 prescriptions are prescribed for sleeping pills in the Netherlands. This is about 10 million per year! So there are a lot of people who do not sleep well, do not fall asleep very well, or wake up many times a night and start to turn lethargic. If you don’t sleep well everything suffers. You eat the wrong things because you feel tired, you skip your regular exercise and you work less efficiently. Some immediately get dark circles and puffiness; others only feel lethargic, without energy, with a pale skin and are slightly irritated. Do not panic! According to beauty brand This Works 'Beauty comes with Sleep' and there are several solutions for hands! Beauty sleep is not a myth as the body repairs itself whilst you sleep and skin renews and rejuvenates itself at night. Sleep can actually reduce the appearance of wrinkles in the neck and face, at least temporarily as by lying down you divert the affect of gravity and because you also perspire more at night, sleep acts as a natural moisturiser. Getting enough sleep depends on creating a restful atmosphere to help you unwind and relax before bedtime. Aromatherapy candles (such as deep sleep heavenly candle and lavender and roman camomile candle ) will fill your home with a soothing aroma. Having a warm bath before bed also helps calm the mind and body. Add to your bath one spoonful of deep sleep bath soak - blended with a spa-strength concentration of 100% natural essential oils, including Vertiver, the 'tranquillity oil' for a deeply relaxing and calming soak. Not blessed with a bath in the house? No problem, then you still can take a relaxing hot shower! The Deep Sleep Shower Gel also contains the well-known 'sleep' This Works signature fragrance and is also mild for your skin, leaving the skin hydrated, and lightly perfumed. The perfect shower to prepare you for a good night's sleep! By now you should be feeling much more relaxed and ready for bed. 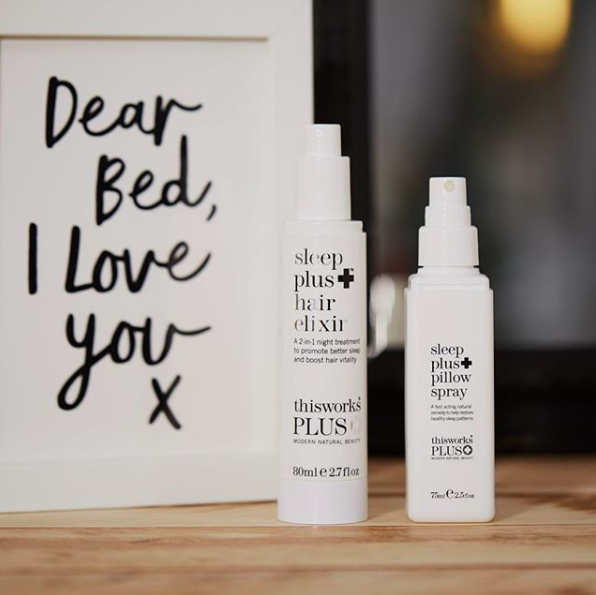 As a final touch why not spray your pillow and bed sheets with the deep sleep pillow spray? It is the ultimate golden beauty rule of every make-up artist and skincare expert: clean your face, no matter how tired you are. That also creates a radiant skin. And if all solutions fails and you wake up with puffy tired eyes and dark circles, use our This Works No Wrinkles Tired Eyes, a powerful serum targeted to help reduce wrinkles and signs of fatigue around the eye area.